Philadelphia had a new franchise created to compete with the National League’s Philadelphia Phillies. 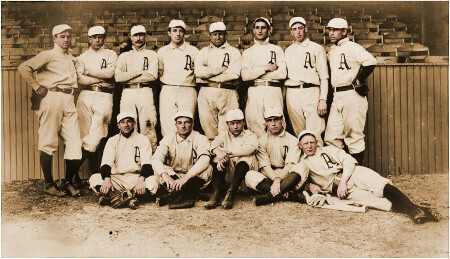 Phillies minority owner Ben Shibe as well as others to invest in the team, which would be called the Philadelphia Athletics. Mack himself bought a 25 percent interest, while the remaining 25 percent was sold to Philadelphia sportswriters Sam Jones and Frank Hough.